Mag Rim Repair Solutions for Damaged Rims- Where to Get your Wheels Fixed? Are your wheels almost worse for wear? It can be extremely frustrating to see a dent, scratch, or scuff on your rims, especially when you try your very best to keep them away from common dangers on the road. There are countless car problems that can cause your mag rims to get damaged. Before you know it you end up with a hefty repair bill. The good news is that a lot of these rim and wheel problems come with symptoms. These signs and symptoms will help you in identifying the problem so you can send your car to trusted auto shops that specialise in wheel rim repair. One of the most noticeable symptoms of problematic mag wheels is vibrations. You will feel slight vibrations through your steering wheel to actual shaking of the car for more serious problems. Although these symptoms are not as annoying to drivers, it’s something that needs to be taken care of sooner or later to avoid accidents and more costly repairs in the future. One of the most common symptoms which suggests that you need alloy rim repair is poor handling. If your car doesn’t handle like it used to, it’s a clear sign that you need to have it checked for damage. One of the most common problems associated with poor handling is a bent rim. In the case of alloy rims, you will see the damage quite easily. Rim issues also manifest through a thumping sound that you will hear while driving. Another symptom that you need to watch out for is change in gas mileage. 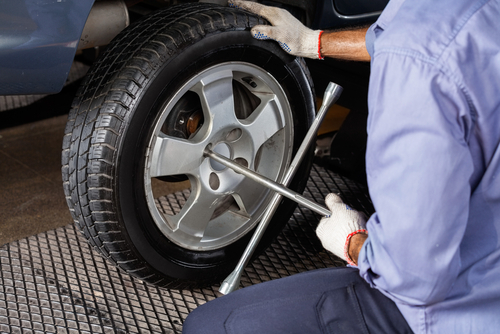 Uneven wear on tires or possible damaged wheels make it difficult to handle your car and reduces fuel efficiency. If these symptoms are ignored, you will most likely end up with life threatening tire blowouts while on the road. Besides getting rim repair, it’s best to take a proactive stance and get rim maintenance on a regular basis. A reputable rim repair shop in Sydney can easily repair a bent or broken rim quite easily. In the case of bent rims, you need to go to an auto shop that specialises in mag rim wheel straightening and repair. Before you purchase a replacement, make sure to have it checked by a wheel repair specialist first to save money altogether. If you want nothing but the best service for your car, don’t skimp on quality wheel repair services. Our high standard of service is reflected on the excellent alloy rim repair and alloy rim repair services that we offer. Click here to check our complete menu of services or call us at 0421 136 101 for enquiries.